Lavender oil has a chemically complex structure with over 150 active constituents, which explains its effectiveness at helping with a lot of health ailments. Lavender oil possesses amazing anti-inflammatory, anti-fungal, antidepressant, antiseptic, antibacterial, antimicrobial, antispasmodic, analgesic, detoxifier, hypotensive, and sedative properties. Much prior research on lavender has focused on the administration of lavender via an olfactory route. The anxiolytic activity of lavender olfaction has been demonstrated in several small and medium-sized clinical trials. The efficacy of aromatherapy of lavender is thought to be due to the psychological effects of the fragrance combined with physiological effects of volatile oils in the limbic system.These calming effects of lavender oil and single constituents may be the origin of the traditional use of lavender. Lavender oil olfaction has been shown to decrease anxiety, as measured by the Hamilton rating scale,51 and can increase mood scores. – Dunn and colleagues demonstrated anxiolytic activity of lavender oil aromatherapy in patients in intensive care units. Subjects received at least 1 session of aromatherapy with 1% lavender essential oil. Significant anxiolytic effects were noted in the 1st treatment, though 2nd and 3rd treatments did not appear to be as effective. – Alaoui-Ismaili and colleagues found that the aroma of lavender is considered by subjects to be very pleasant and is correlated with changes in the autonomic nervous system. – Tysoe and colleagues conducted a study of lavender oil in burner use on staff mood and stress in a hospital setting. A significant number of respondents (85%) believed that lavender aroma improved the work environment following the use of the lavender oil burners. – Diego and colleagues demonstrated that people receiving lavender oil (10%) olfaction for 3 minutes felt significantly more relaxed and had decreased anxiety scores, improved mood and increased scores of alpha power on EEG (an indicator of alertness), and increased speed of mathematical calculations. 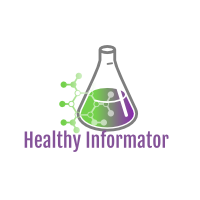 – Lewith and colleagues investigated the effects of lavender aromatherapy on depressed mood and anxiety in female patients being treated with chronic hemodialysis. The effects of aromatherapy were measured using the Hamilton rating scale for depression (HAMD) and the Hamilton rating scale for anxiety (HAMA). Lavender aroma significantly decreased the mean scores of HAMA, suggesting an effective, noninvasive means for the treatment of anxiety in hemodialysis patients.